Today’s the day, people. Wake up and vote! More important still, it’s a savory, creamy, hearty breakfast. And it’s halfway healthy, because it’s oatmeal. Talk about across-the-aisle collaboration. 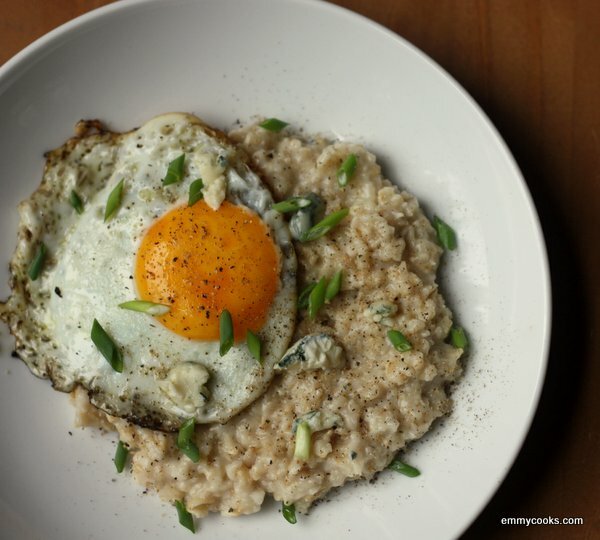 This entry was posted in Breakfast, Eggs, Emmy Cooks Original, Food, Recipes and tagged black pepper, blue cheese, eggs, green onions, oatmeal, oats on November 5, 2012 by emmycooks.